The Saybrook Point Inn & Spa offers a little bit of everything to make your stay exceptional. Expect an attentive staff to greet you at arrival and assist in finding the perfect accommodations with brilliant views to match, and this is just the beginning. Discover the true meaning of revitalization and relaxation at our spa or find your perfect stride in our state-of-the-art fitness center. Savor the fresh, local ingredients found throughout our thoughtfully curated menu at Fresh Salt. Or, if it’s not all play, allow our perceptive meeting planners to help you create the ideal corporate event with perfectly executed details at the ready. We strive to offer something for everyone and are always happy to help you plan a trip to best suit your needs. At Saybrook Point Inn, Marina, & Spa, we’re always going green(er). The natural beauty of the Connecticut coast in our backyard makes us especially conscious of our commitment to oceanic, wildlife, and wetlands conservation. From thermostats to our heat production, we’re constantly looking to alter and innovate our hotel practices to produce the smallest environmental impact possible. Saybrook Point is one of 400 Energy Star Rated properties in the United States. We were the first Green Lodging Certified hotel in Connecticut and a member of the Green Spa Network. 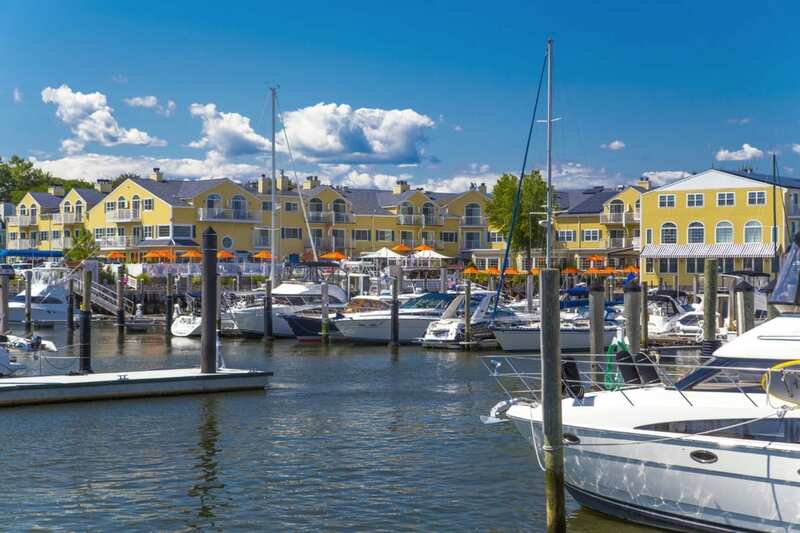 Saybrook Point also prides itself on its Farm to Chef Rated Program, as well as receiving the first Clean Marina Award in Connecticut. Gutter-spout system that captures rain water, which is then used for landscape irrigation. Although we would love to be able to accommodate each and every solicitation for donations we receive, we are not always able to do so. We work with select organizations which we prioritize and donate to annually as well as make donations to organizations supported by the Saybrook Point Inn and Spa associates. Please click the button to load the form to submit an inquiry.